Hi! My name is Teacher Leidee or you can just call me Teacher Lei. 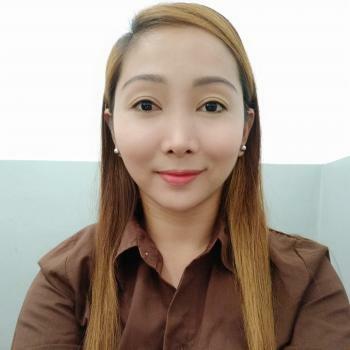 I am a very positive person and teaching is what I love to do because aside from meeting different people I am able to share my knowledge of English. In my class, you will experience a lot of fun. Come and join my class, see you soon! Teacher Lei took a Bachelor of Elementary Education. Her hobbies are reading books, watching movies and playing the piano. She wants to become an ESL teacher because she wants to share her knowledge with other people. She is friendly, hardworking, optimistic and a good listener. She'll be best suited for beginners and intermediate level students. It was very fun.i wants to talk again.